That famous, ephemeral quote from H.P. 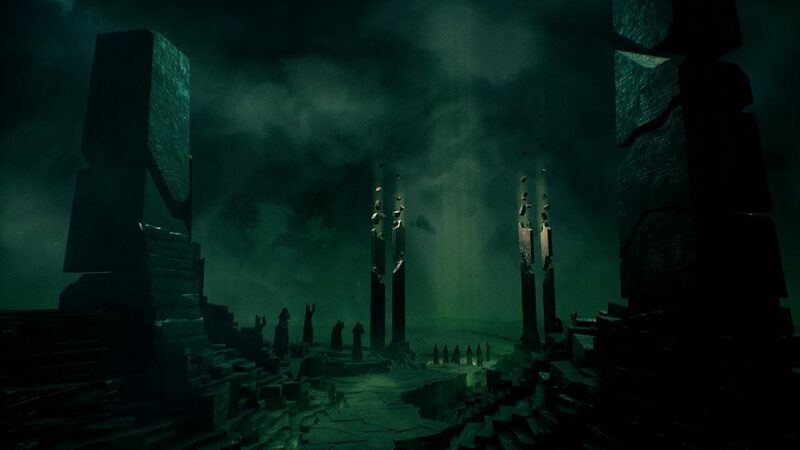 Lovecraft’s seminal story The Call of Cthulhu is a perfect encapsulation of what makes his Cthulhu mythos so captivating; and why it so difficult to adapt to any screen. Through his massive body of work Lovecraft sought to capture “pervasive cosmic evil that lurks just behind visible reality“, a concept which does not lend itself well to a visual medium. Cyanide’s Call of Cthulhu is the latest attempt to bring the Cthulhu mythos into gamers’ living rooms. Behind the scenes, development was tumultuous with the title changing hands between two studios and going through years of stagnation. The end result is a hauntingly atmospheric ode to Lovecraft whose development woes occasionally peek through the cracks. Players project themselves into the mind of Edward Pierce, a haunted WWI vet turned private eye drowning his shell shock in bourbon. 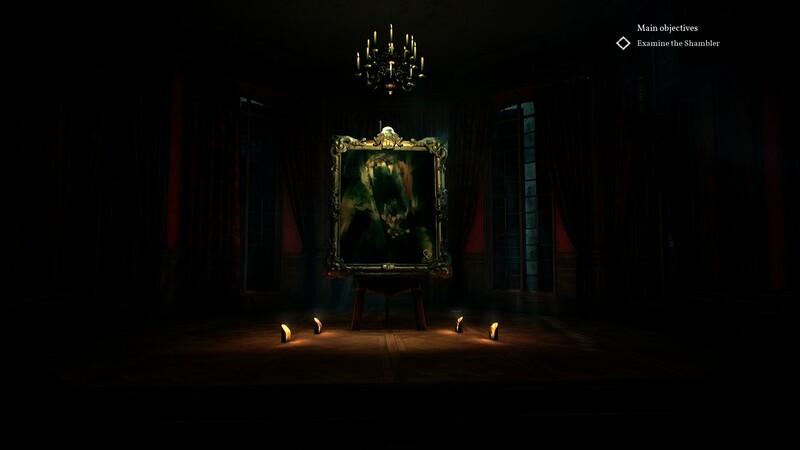 There is no reprieve to be found as his arm is twisted into taking a case involving an occult painter whose canvasses peer into darker dimensions. 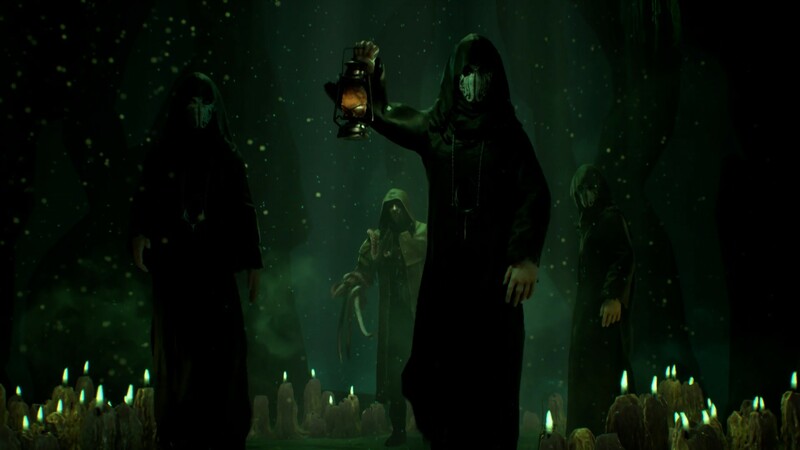 Although this is not a direct adaptation of any particular one of Lovecraft’s stories, Call of Cthulhu selectively appropriates many elements familiar to fans of the troubled author. Xenophobic sailors wary of outsiders, ancient tomes bound in human flesh and eldritch knowledge that comes at the cost of sanity are just a few pieces that make up the pastiche. The story takes many turns, dragging the player down a dark path of doubt and revelations. 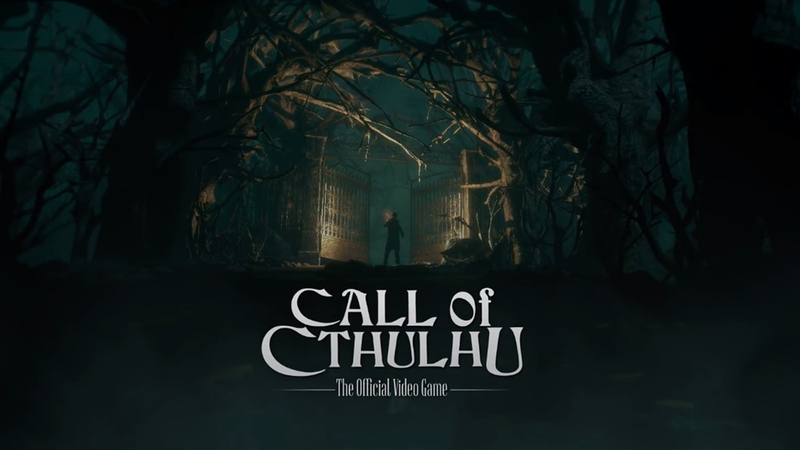 In of itself, the story of Call of Cthulhu fits right in with the countless tales strewn by Lovecraft himself. From the beginning it is clear that the developers enveloped themselves in the source material and created something that embodies the nihilistic dread that is too often overlooked for cheap thrills when adapting Lovecraft. I was especially impressed with the endings, each darker than the other, which does not forgo the consistent tone upheld throughout the game. 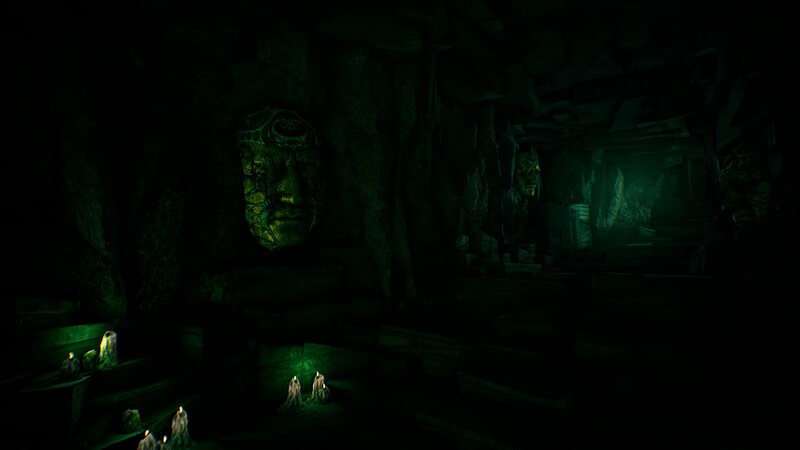 More than anything else Call of Cthulhu delivers an incredibly sublime ambience to fill in the rich setting. Economically using sound and light, it’s not afraid to let the player’s mind inhabit the shadows with their fears. Cyanide did an excellent job finding balance in the audio-visual elements, giving enough negative space to contrast the moments when the poop hits the paddle. Call of Cthulhu deserves all the praise in the world for what it does in the setting and writing department. That is not to say it is without its shortcomings however. The pastiche technique works well for Call of Cthulhu’s inspirations but the same, however, cannot be said for its gameplay. Overall there were a few different elements which are inconsistent at best, and at worst unable to coalesce into a cohesive gameplay experience. 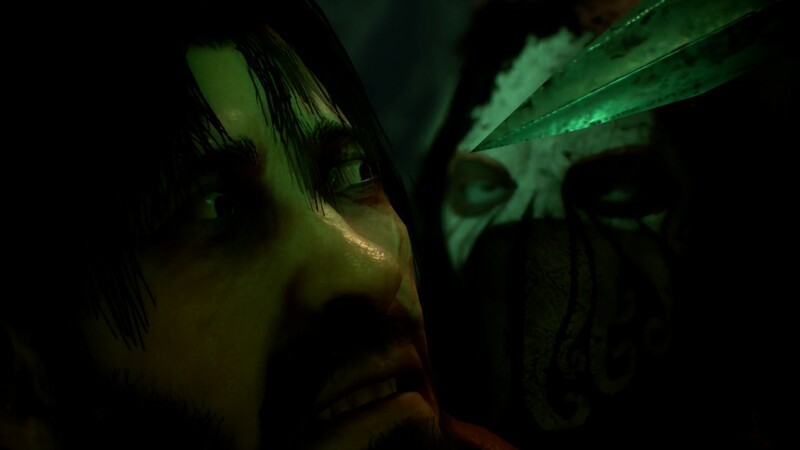 Call of Cthulhu spreads itself out trying to encompass elements from a few genres with varying results. Investigative sections require searching for clues and reconstructing the scene of a crime. Other sections take an exploratory slant letting Pierce walk through impressively realized environments, interacting with NPCs and occasionally completing environmental puzzles. The last piece of the puzzle are the infrequent survival horror segments that function well in ratcheting up the tension. The problem is that Call of Cthulhu dips its toes into each of these aspects without fully wading into the waters. Existing in a constant state of indecisiveness over what type of game it wants to be, consequently “under-cooking” some of its ingredients. Investigative segments feel more as a means to an end than an actual integral part of gameplay. Players walk through still-life tableaux examining items. No inference, or decision-making or brain power in general needed. These sections could have been taken out and replaced with a cut scene and it would not have made a difference. 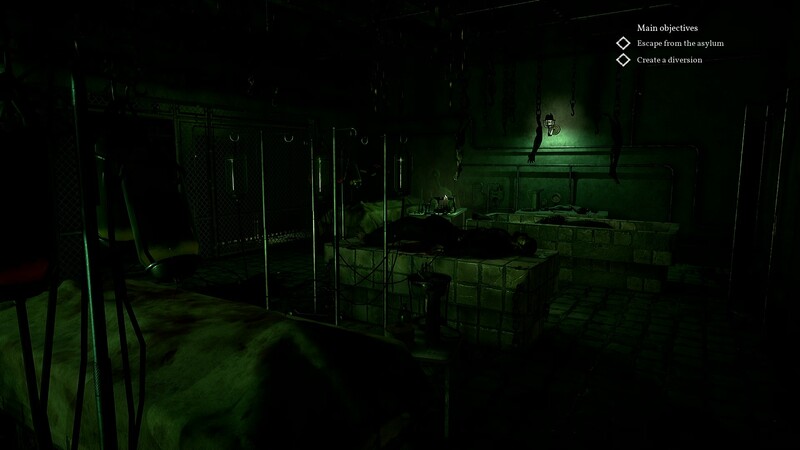 The few survival horror parts are the only parts of the game where the player is ever in any real danger. By separating that danger from the rest of the game; the action ,when it happens, feels inconsequential and diffuses any semblance of tension as soon as the player leaves those segments. Exploration does work fairly well, in no small part to the great ambience and sense of place, but that on its own is not enough to make compelling gameplay in this case. 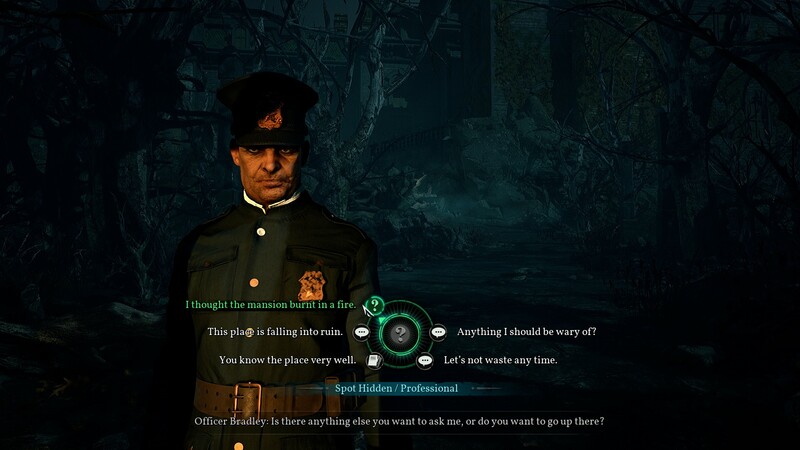 Call of Cthulhu also introduces RPG elements consisting of stat points that players can use to pass skill checks. Skill checks vary from unlocking doors or getting information from witnesses. The stat system feels, as a whole, inconsequential; lacking any real impact on how somebody chooses to play the game. All of these elements occasionally do have moments where they work brilliantly, but as a whole Call of Cthulhu struggles to feel like more than the sum of its parts. Excellent plotting and immersive atmosphere can only take a game so far when the gameplay cannot keep up. Each individual gameplay component from the investigative sections to the lackluster RPG elements needed to be fleshed out more fully to provide a game where all of the parts felt like they truly impacted one another. Thankfully where Call of Cthulhu finds its footing is in the imaginative way it explores an already rich literary tradition. Reaching into the depths of insanity, Cyanide has told a story that should be experienced by any fan of Lovecraft. In-cohesive gameplay should not stop any cosmic horror fan from experiencing this well-told story of madness and despair.